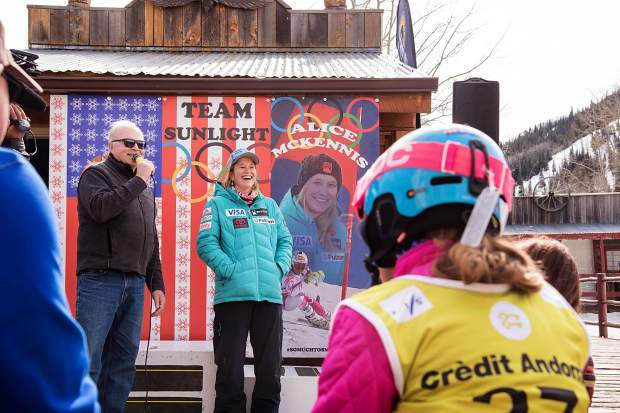 Alice McKennis flashes a big smile at the ski run naming dedication Saturday at Sunlight Mountain Resort, as Sunlight General Manager Tom Jankovsky does the honors. 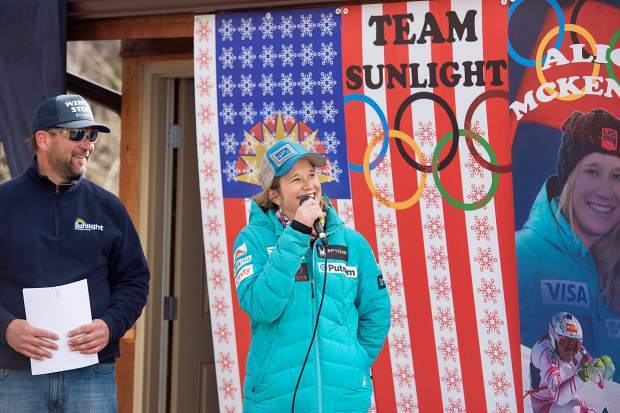 Olympian Alice McKennis speaks at a dedication ceremony at Sunlight Mountain Resort Saturday, where a run was renamed "Aligator Glades" in her honor. 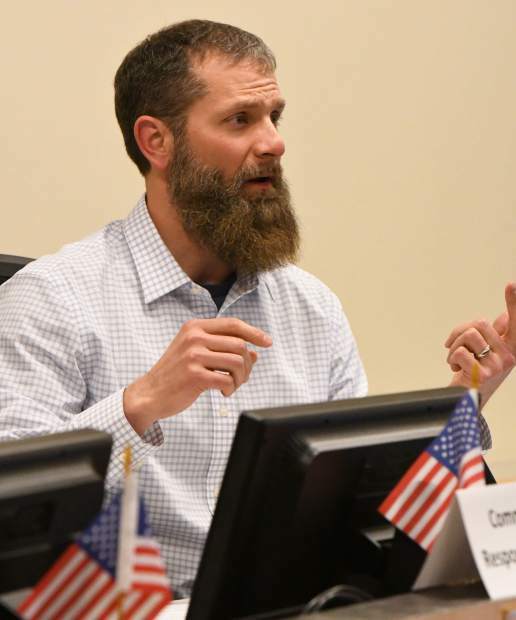 Olympian Alice McKennis, center, celebrates the renaming of a run at Sunlight Mountain Resort in her honor, as dad Greg McKennis, second from left, and others look on. 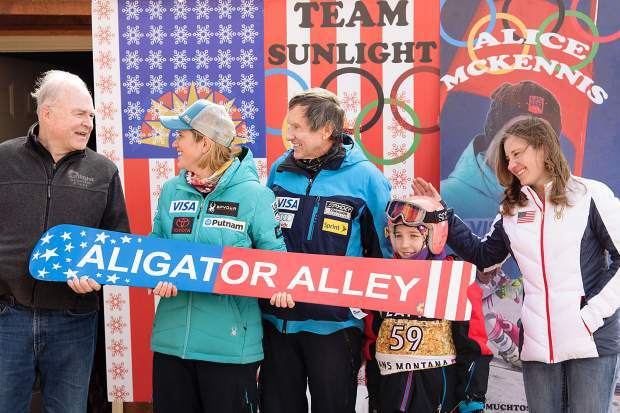 From left, Sunlight General Manager Tom Jankovsky, Olympian Alice McKennis, dad Greg McKennis, and others celebrate the official dedication of "Aligator Alley," a new ski run in honor of McKennis, on Saturday. Alice McKennis poses with several Buddy Werner ski team members at Sunlight Mountain Resort, where a ski run was renamed in the Olympian's honor. 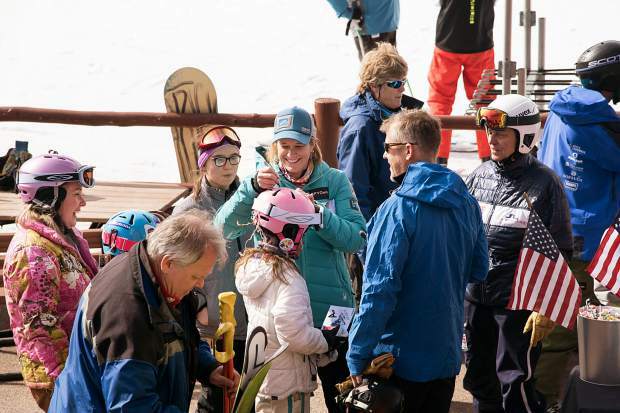 Olympian Alice McKennis signs a young ski racer's helmet on the deck at Sunlight Mountain Resort Saturday, where a ski run was renamed "Aligator Glades" in the New Castle native's honor. 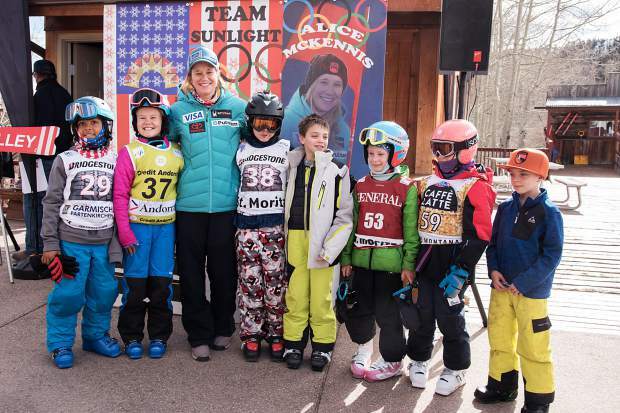 Sunlight Mountain Resort honored its very own Olympian on Saturday, naming one of the ski runs for New Castle native and World Cup skier Alice McKennis, who paid a special visit to her old schussing grounds. 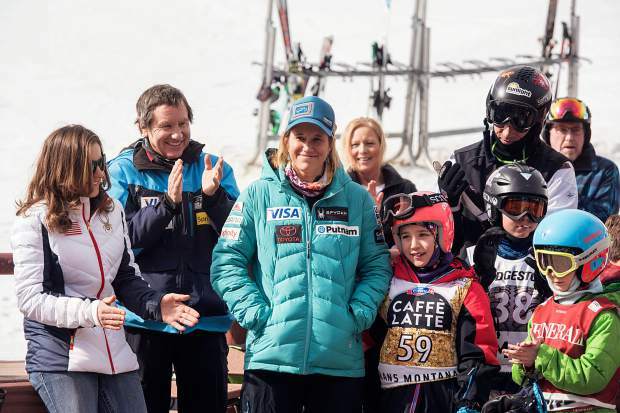 McKennis is fresh off one of her best seasons ever, taking fifth in the downhill at the Winter Olympics in Pyeongchang, South Korea, followed by a third-place finish in the downhill at the final World Cup event of the season at Are, Sweden. Her skiing roots run deep at the Glenwood Springs ski area, where she began skiing with her dad, Greg McKennis, before was even 2. 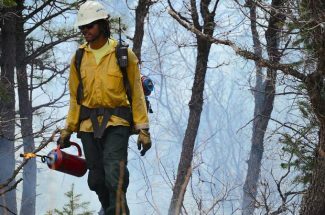 She later trained with the Aspen Valley Ski and Snowboard Club. McKennis’ handle on Instagram is @thealigator, hence the renaming of the trail to Aligator Glades.